We are pleased to announce a lovely new holiday - Connemara in Ireland from Friday 9th-16th August. This is a chance to explore West Ireland’s unspoiled natural beauty in Counties Galway and Mayo - a place filled with atmospheric towns and villages, stretches of stunning coastline, with a vibrant cultural heritage rich in tradition. We can make all the necessary arrangements, leaving you to enjoy the famous Irish hospitality, colourful small shops and cosy pubs along the way! For further information and to book click here. 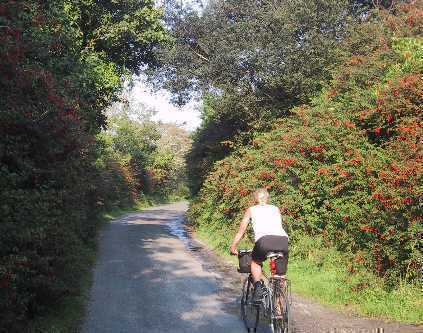 New route added to Dorset! Two cracking rides on one day!